I love when couples style things up for their engagement shoots. This punk tattooed bride and groom rocked out their outfits beautifully, pairing leather with animal print, red and black. I photographed them downtown in the Arts District, as I thought a more urban background suited their vibe perfectly. 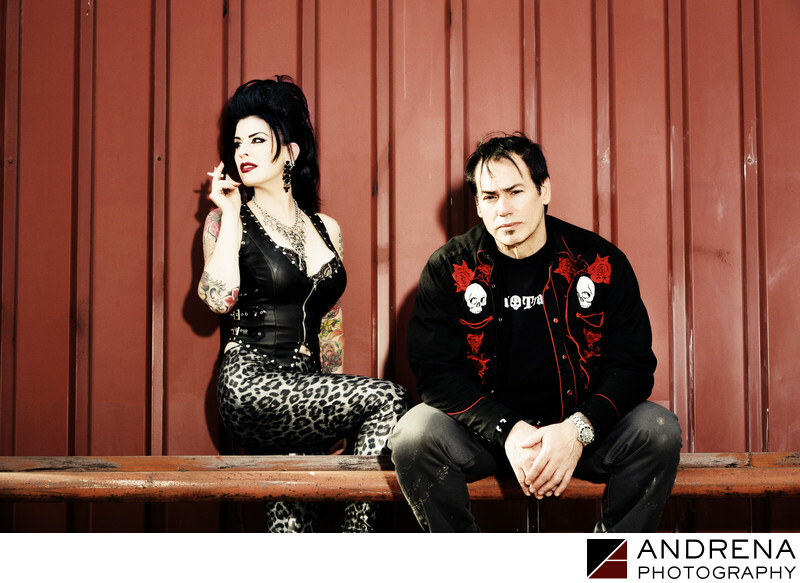 This engagement session was featured on Rock 'N' Roll Bride. Engagement session photographed in Los Angeles, California.